Betts 4” Sequential Vapor Valve is designed for use as a positive vapor recovery valve on cargo tanks during loading and unloading. Sequential interlock design allows the vapor valve to be plumbed in series with the emergency valve to insure the vapor valve is open before the emergency valve. Vapor valves can also be plumbed to operate independently of the emergency valves, if desired. Internal interlock device guarantees that all vapor valves and emergency valves will close fully when air pressure is released, regardless of their location in the plumbing system. Mounts to standard 4” TTMA sump flange pattern. Meets all requirements for loading/unloading venting devices on MC306 and DOT406 cargo tanks and is tested and marked with a test pressure of 36 psig in accordance with 49CFR178.345-5(f). Inward opening action prevents loss of lading due to surge pressure during a roll-over accident. All moving parts are internal to minimize chance of freeze-ups during cold weather. 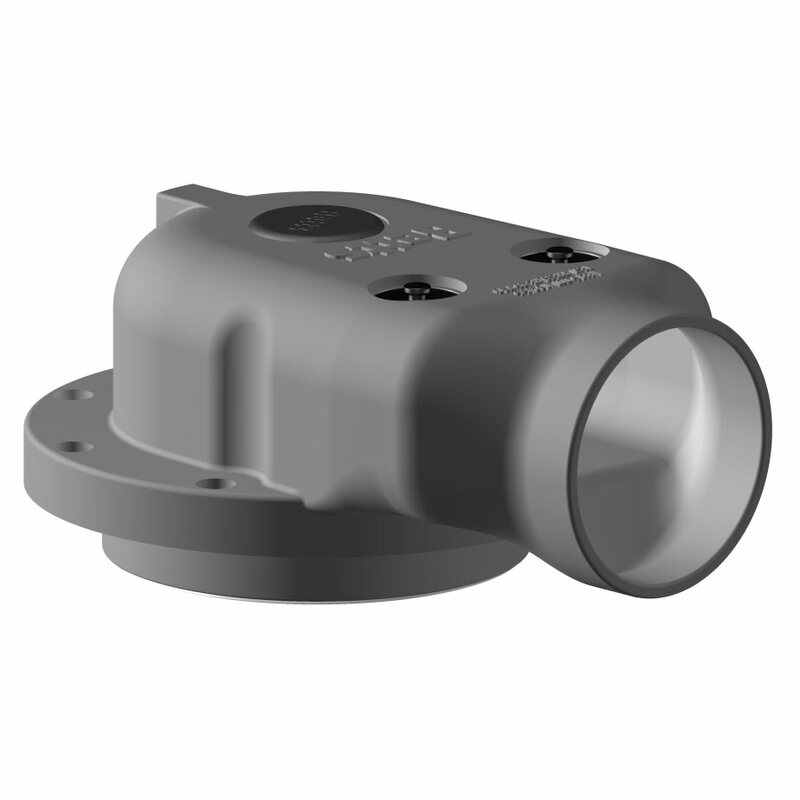 Aluminum bodies with stainless trim minimize corrosion and PTFE seals in contact with vapors ensure compatibility with a wide variety of products. w/ ‘023’ suffix (fluorosilicone) – 80 OF to 400 OFNOTE: Temperature ratings are based on published information and may vary due to actual conditions.